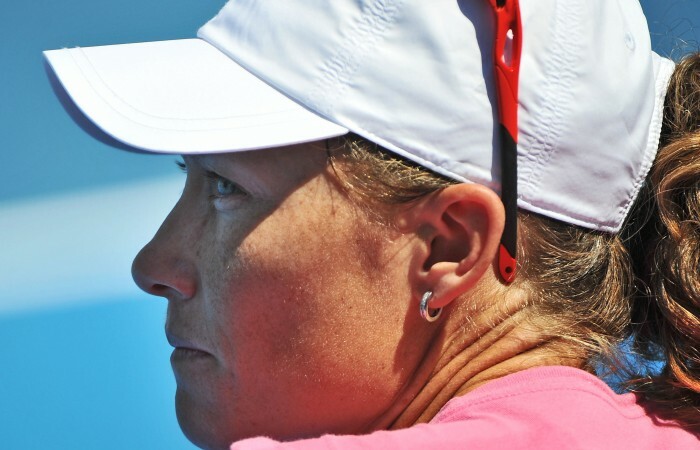 Samantha Stosur has a chance of salvaging her summer after being handed a promising draw for the Australian Open starting on Monday. 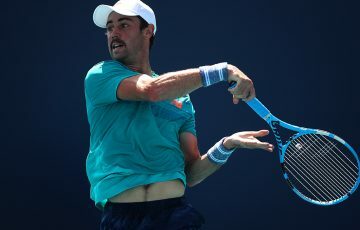 While Lleyton Hewitt opens against Serbian eighth seed Janko Tipsarevic first up and Bernard Tomic could strike 17-times grand slam champion Roger Federer in round three, Stosur fared somewhat better at Friday’s draw in Melbourne. 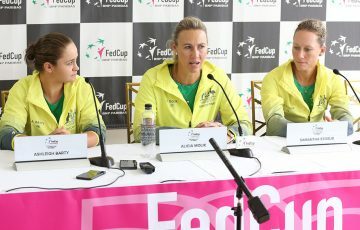 Stosur will play Taiwan’s world No.86 Kai-Chen Chang in the first round and has landed on the opposite side of the draw as top seed and defending champion Victoria Azarenka and title favourite Serena Williams. In the second round, Stosur could meet Jie Zheng, China’s former Australian Open and Wimbledon semifinalist who beat the Queenslander this week in Sydney. 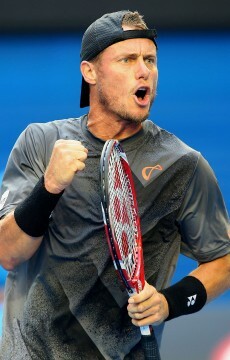 If Hewitt can continue his strong form from the Kooyong Classic and upset Tipsarevic, who is under an injury cloud, the former world No.1 would have a great opportunity to make a deep run. 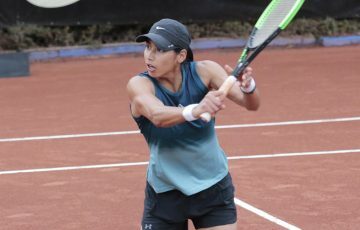 The 2005 runner-up would play Luxembourg’s Gilles Muller or Slovak Lukas Lacko in the second round, with Spanish fourth seed David Ferrer the highest-ranked rival in his quarter. 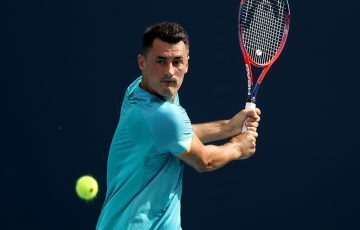 Tomic will take on Argentine Leonardo Mayer first up and would not be looking beyond the mighty Federer in the third round. 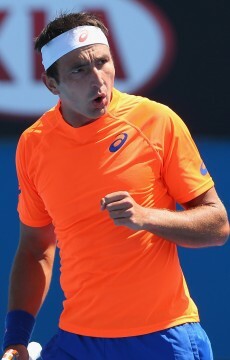 Australian No.1 Marinko Matosevic has drawn Marin Cilic, the Croatian 12th seed who denied the Victorian his maiden grand slam match win in a five-set thriller at last year’s US Open. The men’s draw threw up some mixed news for other Australians with wildcards Ben Mitchell and James Duckworth facing off against each other for a place in the second round, while the resurgent John Millman takes on Japan’s Tatsumo Ito, whom he beat earlier this month in Brisbane. In his first Grand Slam outing, reigning Australian Open boys’ titleholder Luke Saville meets another Japanese player in Go Soeda. Matthew Ebden has a challenge in 23rd seed Mikhail Youzhny. The pair have played only once (in October last year) with the Russian taking the honours in straight sets. Wildcard John-Patrick Smith opens his account against Portugal’s Joao Sousa, ranked No. 100, with the winner likely to face Andy Murray in the second round. In the women’s draw, Jarmila Gajdosova, fresh from a reasonable run in Hobart, will meet Belgian 20th seed Yanina Wickmayer. The pair played twice last year and split the honours. 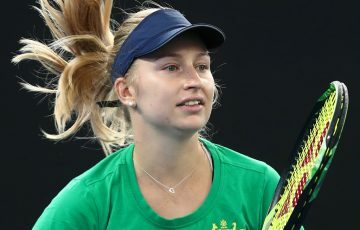 Fresh from representing Australia at the Hopman Cup, and recording the best win of her fledgling career over Francesca Schaivone, 16-year-old Ashleigh Barty finds herself up against the Slovak 15th seed, Dominika Cibulkova. A very tough assignment has also been handed to another wildcard, Bojana Bobusic, with the Polish fourth seed Agnieska Radwanska standing in her way. 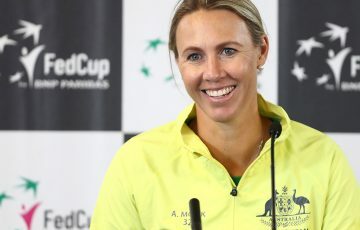 Finally, Casey Dellacqua plays American Madison Keys, Sacha Jones meets up-and-coming young Czech Kristyna Pliskova and Olivia Rogowska will play a qualifier.